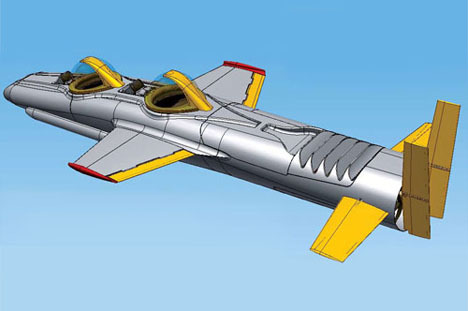 Contrary to its name, DeepFlight Super Falcon isn’t a movie franchise or a war campaign. 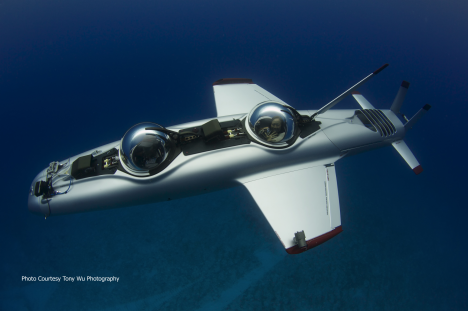 It’s an electric two-seat underwater ‘plane,’ basically a personal submarine for the mega-elite. 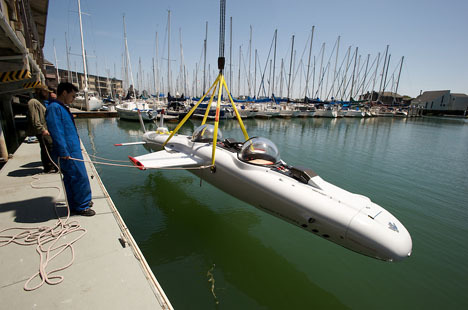 A former marine engineer in the military, oil and gas industries, Graham Hawkes is the brains behind the aquatic vehicle. He recently told The Daily Telegraph that he wanted to create something that could “fly underwater.” His vessel, the deftly-titled DeepFlight Super Falcon, features two bubble-encased seats atop a body shaped like a kayak. Its originality lies in its ‘positive buoyancy’ engineering, something not typically seen in submarines. The Super Falcon uses downward lift to send it gliding into the briny depths. This also keeps it moving, but should a mechanical problem arise, it has an auto-return feature that sends it back to the surface. The Super Falcon’s lithium-ion battery provides eight hours of power and drives the craft’s DC thrusters. Its promise of the ability to “do barrel-rolls with dolphins” may seem grandiose, but it had the schematic strength to win over Red Bull founder Dietrich Mateschitz, who bought one for a cool $1.7 million.